We are deeply grateful for the outpouring of prayers and sympathy from so many who knew and loved our dear friend and co-laborer, Bill Hurley. A memorial service to celebrate his life was held at Reston Bible Church on Tuesday, August 18 at 10:30am EDT. For our extended missionary staff, friends and missions agencies here in the U.S. and around the globe who are not able to attend the service, we provided a live video stream of Bill’s memorial service on this page. We will archive that video here for those who were unable to attend. Impact—yes, that’s the word, though many other words could be chosen to pay tribute to Bill. I think impact is most appropriate. Webster says it means to come into forcible contact with another object. Bill was the force, and those around him were the objects. Impact is usually accompanied by noise and commotion. But with Bill it was different. It was a quiet force with a penetrating edge. It was more surgical and came with carefully-measured truth. Be assured it was direct, and you never had to second-guess what Bill was getting at – after all, he had been a police officer for thirty years. The truth was often sprinkled with humor, but it was never ambiguous, and as the years unfolded, his words became truth mixed with ever-increasing grace. I think we call that wisdom—yes, that’s the word, though many others could be chosen. Webster says it is the gathering of knowledge and insight. I think wisdom is the proper application of knowledge, which in turn has impact on the lives of those who receive it. Bill was a great dispenser of wisdom. Many of us inquired of Bill when difficult times would come or when confusion reigned. He was often the go-to guy when we needed clear thinking untainted with bias. Remember, Bill saw life through a black and white lens. He didn’t let political correctness get in his way. He let truth be his navigator, and grey was not his favorite color. You did the right thing even if it was hard. I think we call that integrity—yes, that’s the word, though many others could be chosen. Webster says it means sound or incorruptible. I have often seen the word as encompassing the whole character of a person. This was Bill every step of the way. He was honest, humble, courageous, humorous and godly. He kept a clear conscience and always admitted when he was wrong. Bill’s integrity has helped landscape the lives of his great family and those he called his friends. You couldn’t be around him long before you realized he was a man of uncompromising character. He could hardly talk about the difficult times missionaries were going through without getting choked up. He was tough, but tender. I think we call that compassion—yes that’s the word, though many others could be chosen. Compassion is to feel what others feel. It is the ability to step into their shoes. Bill did that better than anyone I know. He would drive long distances to surprise a young candidate going through their first day of missionary training. Why? Because he had compassion and wanted to encourage them to stay the course. For thirty-five years he lead our missions committee in the distribution of over forty million dollars to places many of us have never even heard of. Talk about leadership. Leadership—yes that’s the word, though many others could be chosen. Leadership is that quality that encourages others to follow. Those of us that knew Bill wanted to follow him. He had a unique way of looking at life and could see what most of us were blinded to. I loved this man as all of us did. I will miss him dearly because he had such an impact on all of us, yes that’s the word… Impact. We have some very difficult news to share with you. 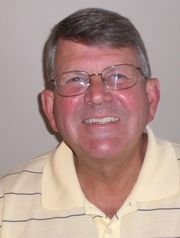 As most of you likely know, Bill Hurley, our Missions Director here at RBC, unexpectedly disappeared about a month ago. It was discovered yesterday that Bill died of a self-inflicted gunshot wound while apparently on his way back to Virginia. We have no idea what drove Bill to do this, and we don’t have any other details at this time. WEEP: Sorrow in itself is not sin. Though he was perfectly sinless, Jesus wept and felt sorrow and grief. Paul wrote in Romans 12:15 that we should “rejoice with those who rejoice, weep with those who weep.” Weeping and feeling the sorrow of such tragic events aligns our hearts with all who feel the sting of this loss. More importantly, our weeping should ultimately align us with the heart of God, who is the “Father of mercies and God of all comfort, who comforts us in all our affliction, so that we may be able to comfort those who are in any affliction, with the comfort with which we ourselves are comforted by God” (2 Corinthians 1:3-5). PRAY: Sorrow in this world is meant to push us into the arms of our Savior, and prayer is one of the greatest means we have of experiencing His embrace. Let our grief lead us to our great Comforter, “that we may receive mercy and find grace to help in time of need” (Hebrews 4:16). Here are some specific ways you can pray: Please pray for Cheryl and their children as they grieve – pray that God would be their refuge and fortress in time of need. Please pray for our local staff and missions committee, as we are hit hard by the loss of someone we worked with and loved very much. Please pray also for our extended staff, hundreds of missionaries all around the globe, many of whom have worked side-by-side with Bill and Cheryl over the past thirty years. REJOICE: What a strange command from scripture, that in trials and sorrow we should also rejoice: “In this you rejoice, though now for a little while, as was necessary, you have been grieved by various trials” (1 Peter 1:6). We can rejoice because Jesus is our “living hope” (1 Peter 1:3), and because of Him, we do not grieve as those “who have no hope” (1 Thessalonians 4:13). To rejoice in sorrow as a Christ-follower is not insanity or denial of the reality around us. Rather, as we “rejoice in hope of the glory of God” (Romans 5:2), we look forward to that day when Jesus will wipe every tear from our eyes and there will be no more death or sorrow or crying or pain (Revelation 21:4). We rejoice because our God is greater than our sorrow, anger or confusion. We rejoice because He is good, and He will set all things right at His appointed time. Bill was a dear friend and a co-laborer in the Gospel – we know his absence will be felt keenly by many. Please pray for Pastor Mike as he ministers to the family and for our services this weekend, that they would glorify God and honor Bill’s memory. We will let you know when Bill’s memorial service will be held as soon as those plans are made. Until then, weep, pray and rejoice. **For our extended missionary staff as well as friends and missions agencies in the U.S. and around the globe who are not able to attend, we will provide live streaming video of Bill’s memorial service here. All followers of Jesus are significant in the work of missions. We must move from information and inspiration to personal involvement in Christ’s great work in missions. How would you describe “missions” to someone who doesn’t know? What comes to mind when you think of “missions” and “missionaries”? 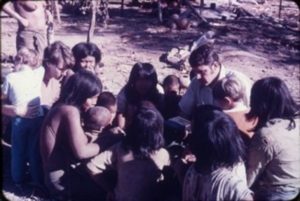 Do you have any experience with missions? Read and discuss Luke 10:1-24. What does this tell us about the topic of missions? What other scriptures can you think of that inform and inspire us to personal involvement in missions? Why is every single believer in Jesus significant in the work of missions? What are the dangers of missions? What hinders missions? Would you say that you have a “burden for the lost”? Why or why not? How can we develop this? How can we as the church discern between significant and insignificant issues as we consider the topic of missions? “God does not want to use all of us in the same way, but He does want to use all of us in some way.” How do you respond to this statement? What role do you think God is giving you in the important work of missions? Are you willing to make yourself available to the Lord for the work of missions? Why or why not? What are you willing to risk? Spend some time praying about this. 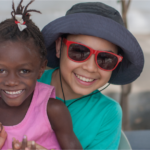 Over the upcoming Spring Break, a missions team (led by Mike Meyers and Jason Goetz) will jet down to Brazil to help host a Vacation Bible School program for up to 200 children of the Terena Indian Tribe. 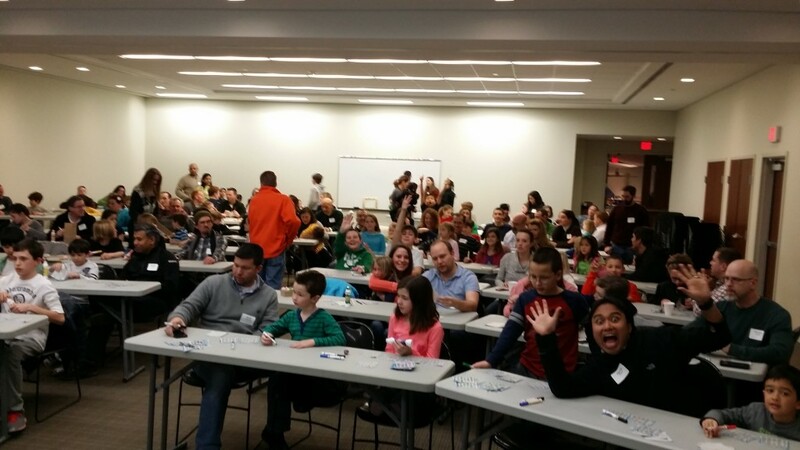 On Friday February 20, the RBC Family-Quest Brazil team hosted a Family Fun Night at Reston Bible Church as a team-building exercise. – Our church family for coming out to support us. We hope you had FUN! If you would like to support the team’s mission financially you can do so by clicking HERE (this link will take you to the Open Arms Worldwide website) and then following the instructions at the top of the page. 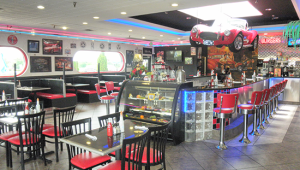 You can also support the team by eating out at The Jukebox Diner (46900 Community Plaza, Sterling VA, 20164) on Sunday, March 8th. For the whole day, (breakfast, lunch, or dinner) you can leave your receipt in the jar at the register and 10% of your bill goes to support our mission team! From the Field: Where’s the Ban-yay-ro? Twenty-two members of Reston Bible Church, led by Mike Meyers and Jason Goetz, are preparing to jet down to Brazil over spring break to help host a Vacation Bible School (VBS) for up to 200 children of the Terena Indian Tribe. 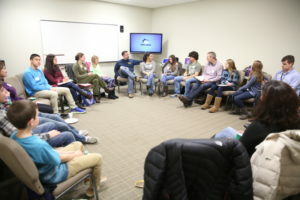 The mixture of parents and kids from 5th grade and up met for the second time last week to get to know each other, learn important words like ban-yay-ro (bathroom), and figure out how to make this VBS absolutely amazing. 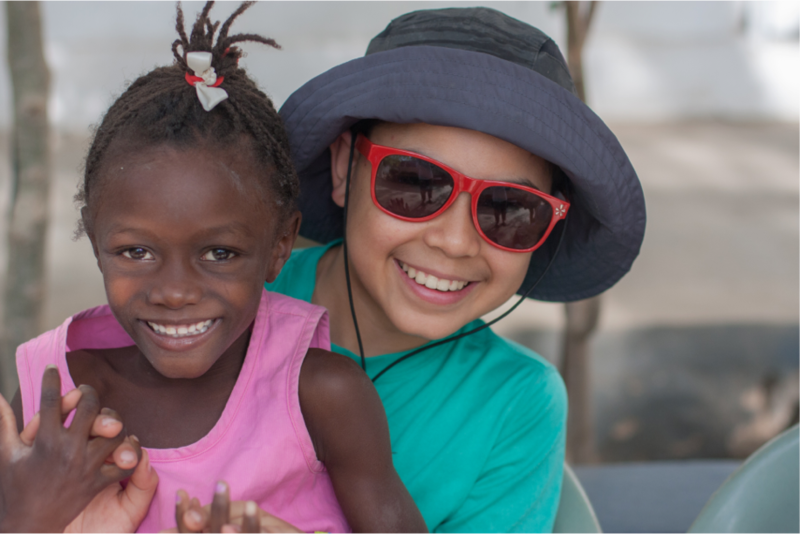 WANT TO LEARN MORE ABOUT OUR FAMILY MISSION TO BRAZIL? Join us for Family Fun Night on February 20 from 6pm to 10pm as we play games, eat, and have a bonfire on Mount Minter. 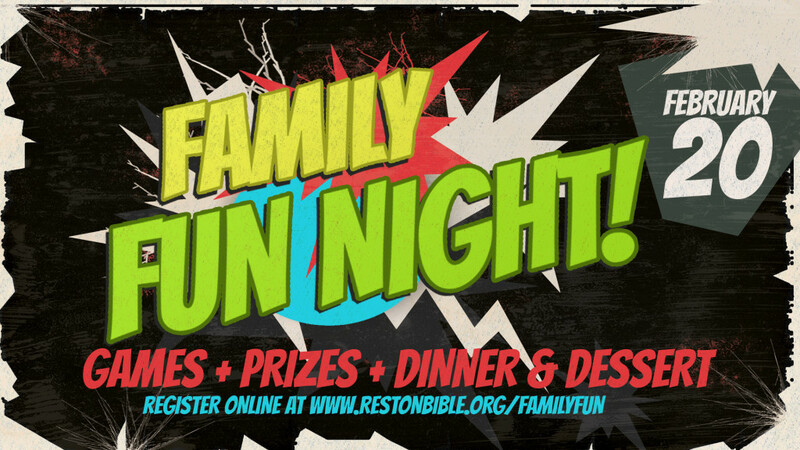 Where else can you go for dinner, friends, and hours of fun for just $10 and get to hear about our mission to Brazil? Hope to see you there! 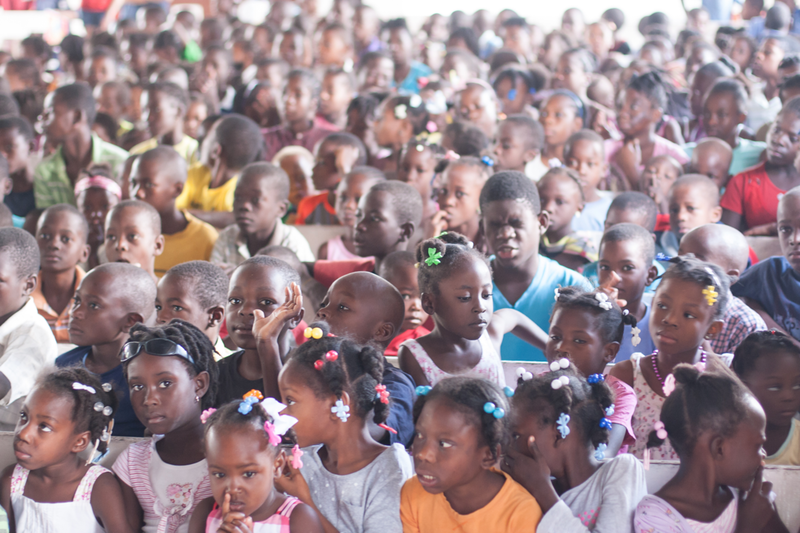 Early in October 2014, a small group of RBC ministry leaders took a short trip to Pignon, Haiti. Aaron and Abi Osborne (our Jr High youth pastor and his wife), Pat and Courtney Cassada (who coordinate RBC’S HOPE Ministry) and Pete Ferrara (one of our church elders) took a trip to see one of our supported missionaries, Pastor Francois, in Pignon, Haiti. 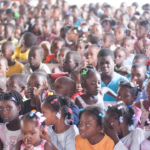 Pastor Francois, a native of Pignon, runs both a church that he started about 30 years ago as well as an orphanage that houses over 40 orphaned (and functionally orphaned) children ranging from infancy to almost 20 years old. He’s hired mothers, teachers and more for these kids and clearly prioritizes their spiritual health as well as their physical health. They’d give our kids in Awana a run for their money in scripture memorization (or soccer, for that matter.) 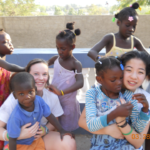 They were amazing kids with bright smiles and lots of love. The pictures we took don’t even do them justice. I believe so much of that is due to Pastor Francois. He is a man with a full trust in God’s provision and grace, and was an amazing blessing to be around. He repeatedly called Reston Bible Church his “sister church,” and fully believes we are united in the work of the Lord, who adopted us out of our sin and calls us His children by His grace. We brought new sound equipment for his church, a lot of much-needed clothes, shoes, and less-needed (but still enjoyed!) candy and toys that were just treasured – all generously donated by RBC. Our agenda, however, was not the typical short-term missions agenda. 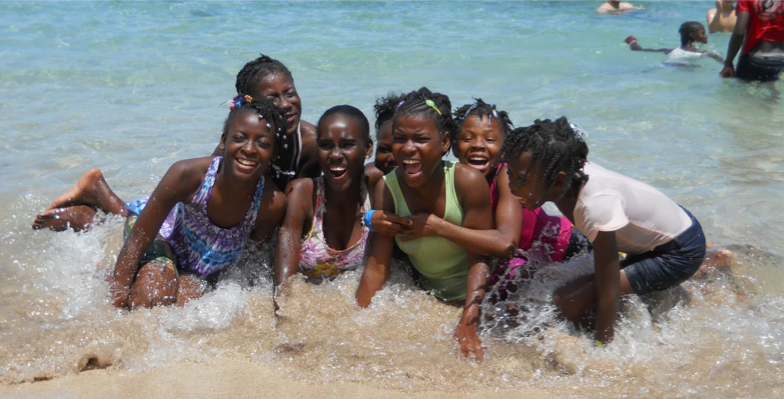 In Pastor Francois’ terms, “We are in Haiti,” which roughly translates to “Who needs an agenda? !” We simply played with and loved on and prayed for his children and talked a great deal with Pastor Francois about how to best serve and enable his ministry. 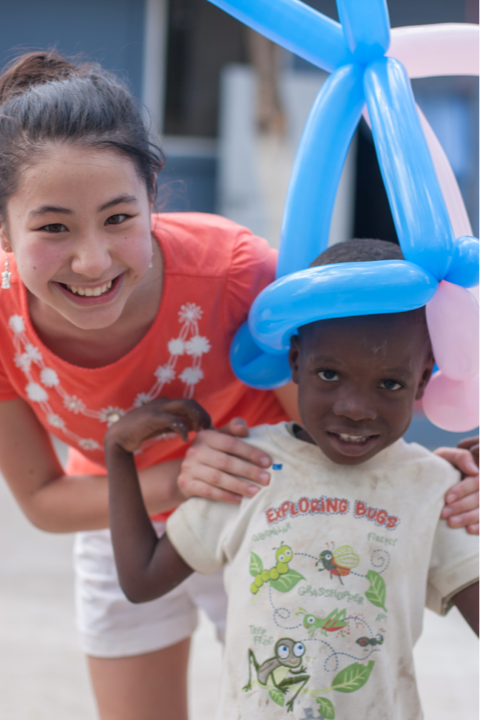 When it comes to these children and his community going forward, he wants our hearts in Pignon more than our checkbooks. There are a lot of needs there. But well beyond the great need is a greater trust that the God who calls Himself “the Father of the Fatherless” will provide in abundance. Please take some time to pray for the children in Pignon and for the work Pastor Francois is doing there for the sake of the gospel. 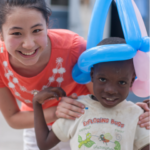 Be on the lookout for upcoming opportunities at RBC to support the children of Pastor Francois’ orphanage. 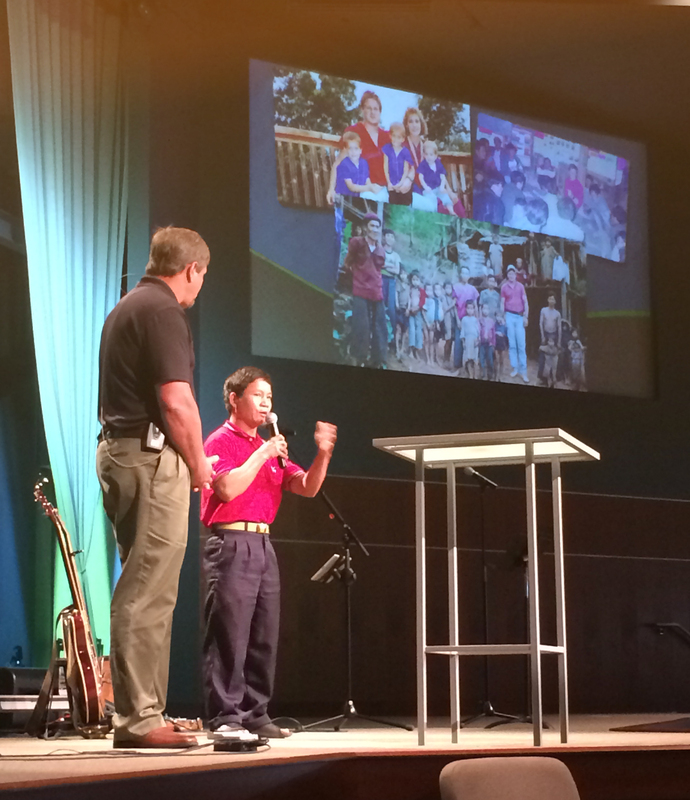 Last weekend, the RBC congregation was blessed to receive a missions report from Scott McManigle, a former RBC missionary who now serves as the associate missions pastor at Faith Bible Church. Scott, along with his wife Annette and their children, spent eighteen years in northern Thailand. 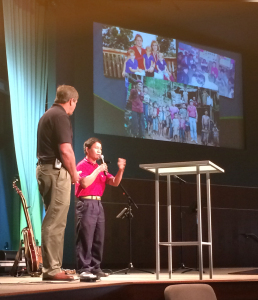 Through their service, the Lord used them to plant a church among the Pwo Karen tribe in a village called Mae Phae. Three Pwo Karen church leaders joined Scott last Sunday in praising the Lord for RBC’s support and involvement in sending the gospel of Christ to their tribe. We praise God for the fruit He is bearing through the faithful proclamation of the gospel in Northern Thailand. Since the McManigles left Thailand in 2006, the church in Mae Phae has continued to grow and the Pwo Karen believers are teaching the gospel in other tribes around their area. Please continue to pray for gospel to go forth in the Mae Phae village and to other villages throughout the region. Pray that many Pwo Karen tribesmen would come to saving faith in Jesus and that the church there would be a great light for the glory of God. To learn more about the church in Mae Phae and the Pwo Karen people, check out the video below. 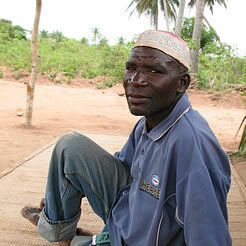 After an extended furlough to take care of their daughter’s educational needs, the H. family has returned to the bush in Mozambique where they seek to make Christ known to the Mwinika tribe. When they left, many people in the village were convinced that the H.’s would never come back, so the Mwinika villagers were pleasantly surprised when they actually DID return! As is part of the culture, the villagers came with a little something to welcome them back home, and as soon as they arrived, there were LOTS of children to greet them. The Mwinikan boys were anxious to play soccer, but the soccer field had been overgrown with weeds and thorns in the H.’s absence. The morning after they returned, they woke up to find a whole crew of boys out in the field working away to clear up the field so that they could play. While in the U.S., the H.’s had received a bag full of clothes for the children in their area, and they were able to give each boy who helped a new shirt! It was a great encouragement to their hearts to be back and to see the different groups of Mwinikan believers meeting together. Some are stronger than others in their faith, but the interest in spiritual things is still there. One young couple was recently sent out from the main village to teach literacy and Bible lessons in a village far away from where they live. This was an incredible step of faith for them. As well, many Mwinika ladies tell the H.’s they are ready to start learning to read and write and to study God’s word together! It is amazing to see God’s provision in these ways. The H. family spent a profitable two-week time in the village, settling back into life there – unpacking, reconnecting with friends, getting reacquainted with the language, and retaking their home back from the bugs. But now they find themselves back on the road again. The H.’s schedule for the next few weeks is very busy. This next week will be spent in Kenya where they will be dropping their daughter off at Rift Valley Academy for the upcoming school year, followed by a number of ministry meetings in South Africa. Here are a few praises and prayer request from the H. family. Please take a moment now to pray for them and give thanks to God for all He is doing there. Praise the Lord for His strength over the past few weeks and for the many things they were able to accomplish in such a short time. Praise Him also for the work He is doing in hearts and lives of the Mwinika people. Pray that their interest in the Lord will continue to grow and that the believers there will become more grounded in their faith. 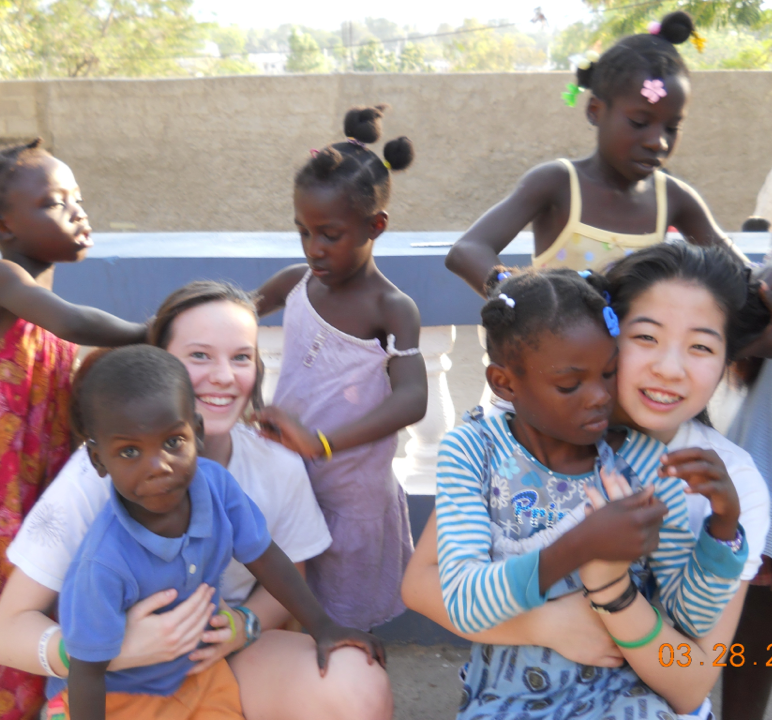 Pray for the H.’s as they say goodbye to their daughter and for her as she settles into school in Kenya. Upon return from Kenya, they will be traveling on to South Africa for several days of ministry meetings. Pray for safety as they travel and for good and profitable results from the meetings.